I think the bull case for the stock market starts with the European banks. When you talk about bull markets and uptrends, financials need to participate. There’s no way around it. 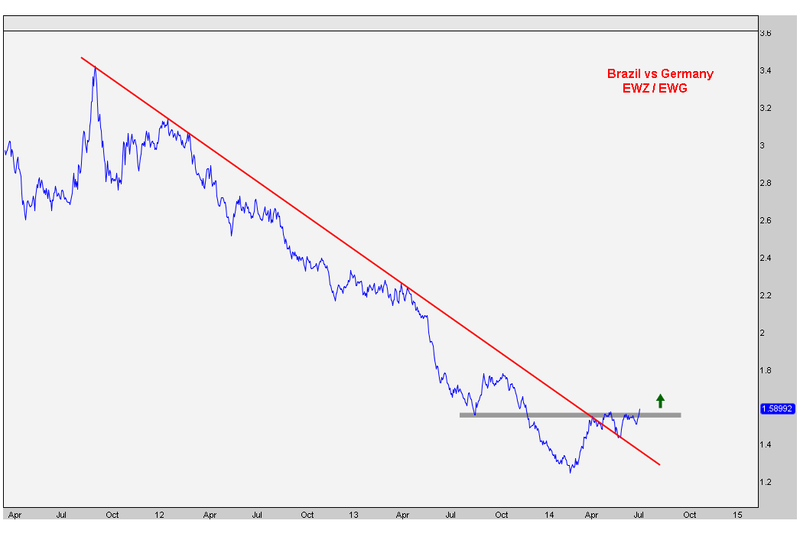 If you have European banks crashing to new multi-year lows, it’s hard to have a sustainable uptrend in equities. As bearish as I am towards stocks these days, the bull case begins with this sector. It would be irresponsible of me not to recognize that. One of the strategies that we like to implement to help achieve a low correlated portfolio is selling one stock and buying an equivalent amount of another. This gives us more of a neutral position in any given market. 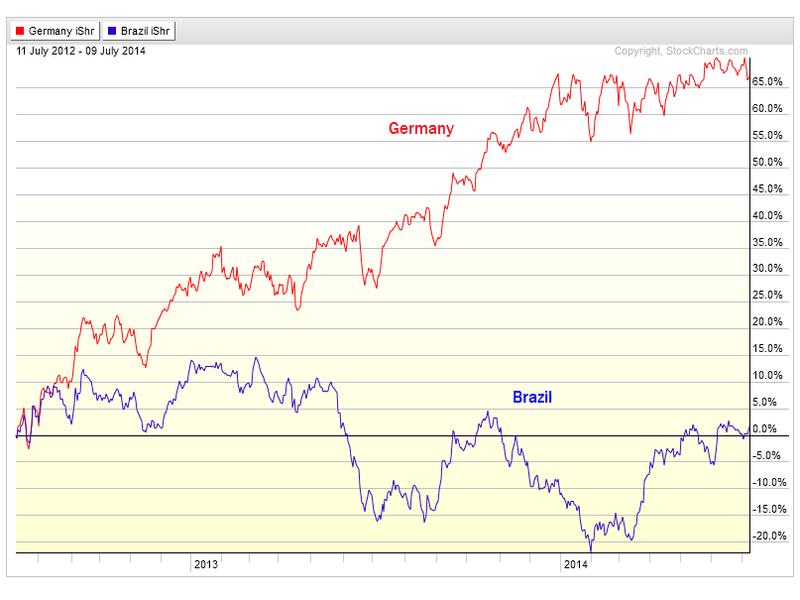 Today I want to talk about the shift that I’m seeing in money flow into Brazil and out of German stocks. This potential breakout could be the beginning of a powerful new trend. This gray shaded area represents former support from last summer that has been resistance since April. After some consolidation, it appears as though this breakout can be for real. We really only want to be long this pair above that shaded area. Below there and things get messy. But if we’re right on this one, there is still plenty of upside left in this thing. No one is talking about this shift in money flow out of Europe and into Latin America. On a relative basis, I’m really starting to like this. It also helps keep us more neutral in global equities, which we prefer right now. Target-wise, I’m looking at that 2.15 level as the first stop. We can go higher than that, but let’s get there first and then reevaluate the situation. This represents about a 35% upside potential with a very fixed, well-defined amount of risk. We like that. REGISTER HERE for more information on how to access these charts with annotations and commentary on a weekly basis. Of all the TV and Radio that I do every month, this is without a doubt one of the most enjoyable for me. I really appreciate a show that is dedicated to analyzing the behavior of the market and market participants. They get it. REGISTER HERE for more information on how to access the charts mentioned on a weekly basis.